Competition ends: 4 July 2017 at 10:00am Terms and Conditions Apply. 1. The promoter is GRUNDIG (Pty) Ltd (“the Promoter”). 2. The promotional competition is open to all South African residents in possession of a valid identity document and are legally over the age of 18 Years, except any director, member, partner, employee, agent or consultant of the Promoter, the marketing service providers or any person who directly or indirectly controls or is controlled by these entities, including their spouses, life partners, business partners or immediate family members. 3. This promotional competition runs over 4 consecutive days. Entry is open from 1 July 2017 and closes on 4 July 2017 at 10am. Any entries received after the cut-off time on the closing date will not be considered. 4. 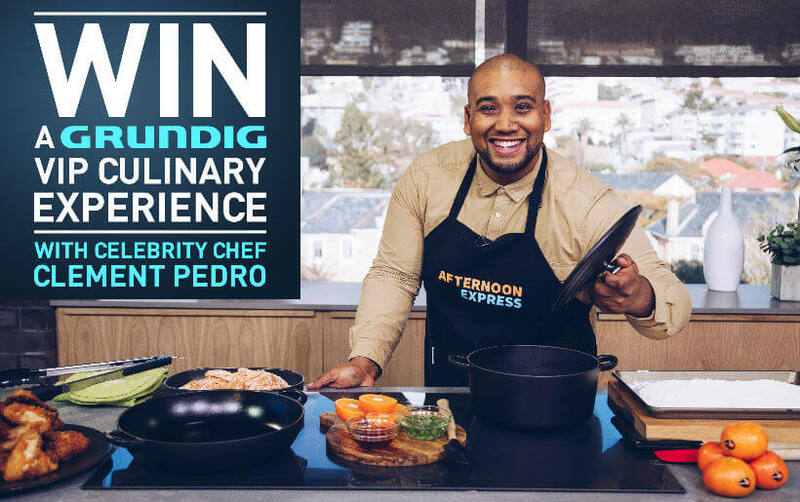 To enter, participants will be required to complete an entry form at the GRUNDIG stand at the ECR House & Garden show. 5. 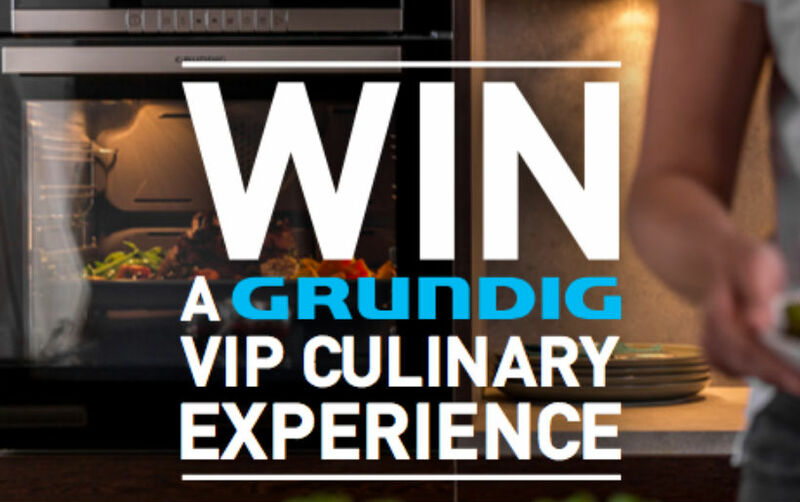 Three double tickets available for the GRUNDIG pop up restaurant. 6. Any winner not available to attend for any reason will be forfeited, and an alternative winner will be drawn. 7. All winners will be required to provide their names, ID numbers,cell phone numbers as proof of winning, before being added to the winners list. Winners will need to provide names of the partners who will be joining them at the event. 8. Winners will be selected by means of one random draw conducted by an appointed auditor. The Promoter and will be notified by telephone as to the details of all winners by this auditor. The Promoter (or their agent) will endeavour to contact the winners on the 4 July as indicated in the competition mechanics..
10. A copy of these Terms and Conditions can be found on the GRUNDIG Facebook page. 11.The Promoter shall not be responsible for any lost, damaged or delayed entries for any reason whatsoever. 12. The prize is not exchangeable for cash and is not transferrable. 13. The Promoter reserves the right to use the images taken of the winners for publicity purposes in any manner they deem fit, without further remuneration being made payable to the winners. However, the winners have the right to object to these images being used by written notification to the Promoter at 136 Teakwood Road, Jacobs, Bluff, Durban, 4052, Att : Legal Department. 14. The Promoter shall have the right to change or terminate the promotional competition immediately and without notice. In the event of such change or termination, all participants agree to waive any rights that they have in respect of this promotional competition and acknowledge that they will have no recourse against the Promoter or its agents. 15. Neither the Promoter, its agents, its associated companies, nor any directors, officers or employees of such, shall be liable for any loss or damage, whether direct, indirect, consequential or otherwise arising from any cause whatsoever, which may be suffered by the participant. 18. The judges’ decision is final and no correspondence will be entered into. 19. Participation in the promotional competition constitutes acceptance of the promotional competition rules and participants agree to abide by the rules.